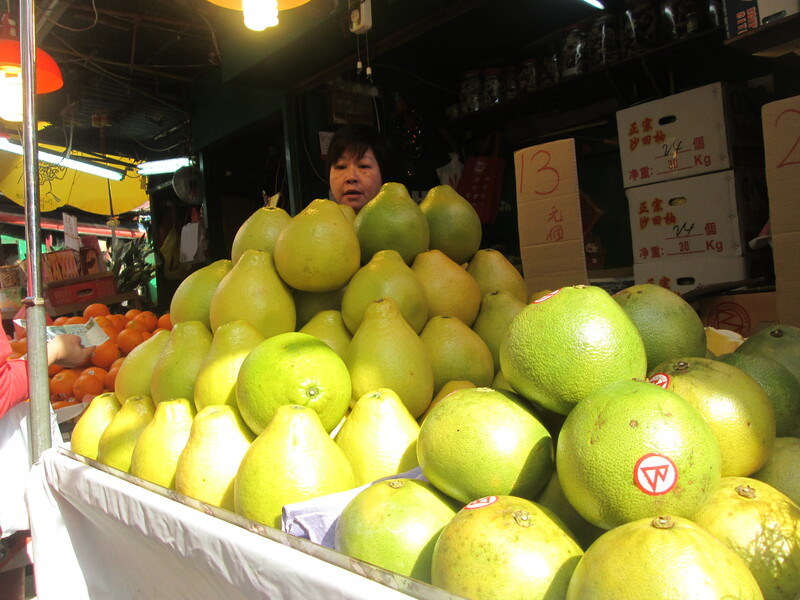 The market was an eye-opener. Huge trays of prawns in one store front. Mounds of awabi (abalone) in another. 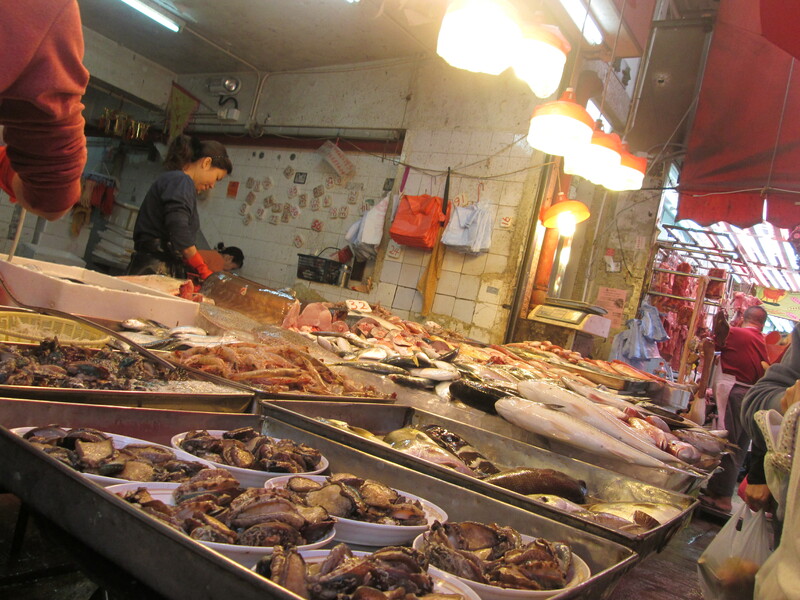 And all over – fresh fish, still flopping from the ocean. In the outdoors booths, the vegetable and fruit vendors took over, offering glossy pamelos, vivid dragon fruit, and long ridge gourds. After buying all of the ingredients for that day’s menu, we got back on the subway for the trip to Joyce’s apartment – housed in a slightly industrial-looking building with scores of floors, and an intricate elevator and security system. Once inside, we sliced ginger and carrots at Joyce’s dining room table, next to her family photos. 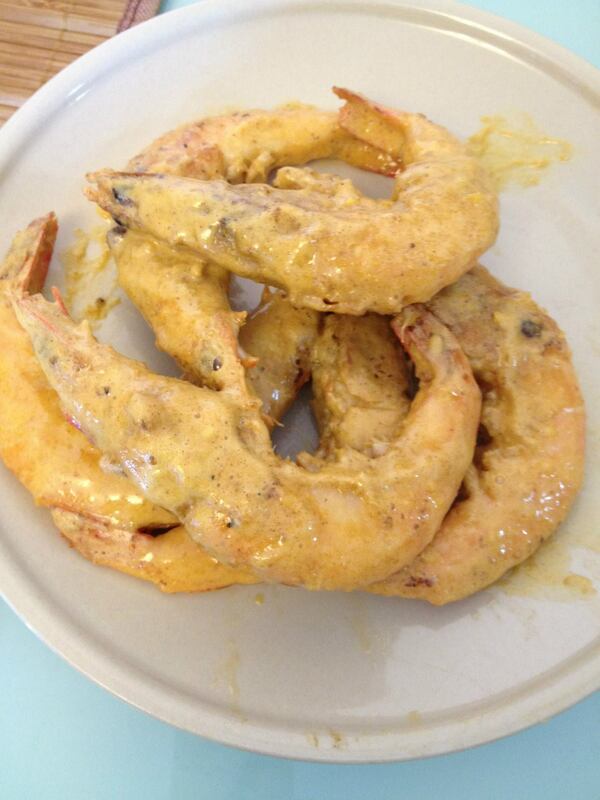 We cleaned prawns at her tiny kitchen sink, and then cooked the food in the gas hotplate that served as a stove. Oh, and I can’t forget the 1,000-year egg! To make the sauce for that day’s “golden shrimp,” we mashed and whisked in the yolk from the blackened egg – basically a duck egg that has been preserved in clay and salt (probably for months, not years). I’m not a big fan of eggs – even when they’re fresh – but I must admit that the yolk gave the sauce a silken quality, and a savory, salty flavor. 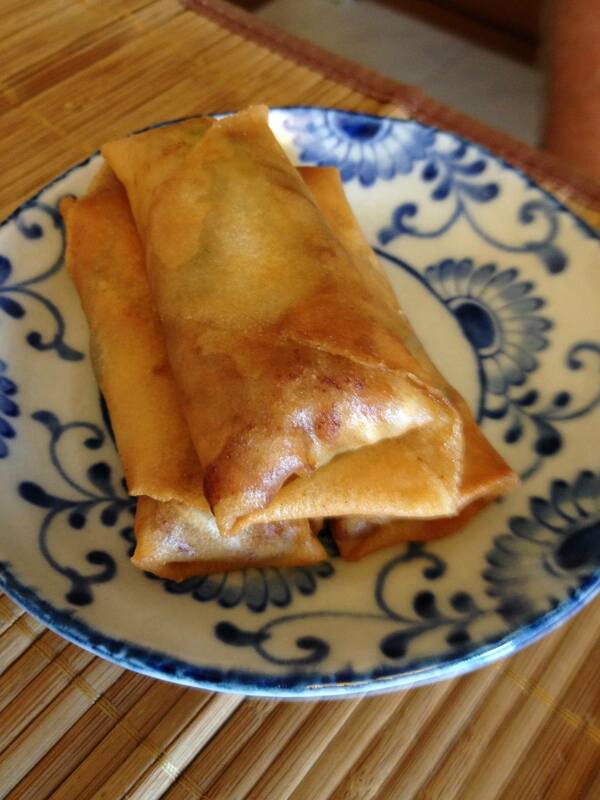 Also on the menu that day: spring rolls with bean sprouts, carrots, ginger, cilantro, and Shaoxing wine; and rice dumplings in a sweet ginger soup. Joyce was meticulous with her instructions for preparing the vegetables. The stringy ends had to be removed from the bean sprouts, and all of the carrots needed to be julienned just so. While we were chopping, Joyce was steeping ginger and cane sugar on the stove. It gave off a beautiful scent, and later served as the “soup” for the sweet dumplings we were also preparing. 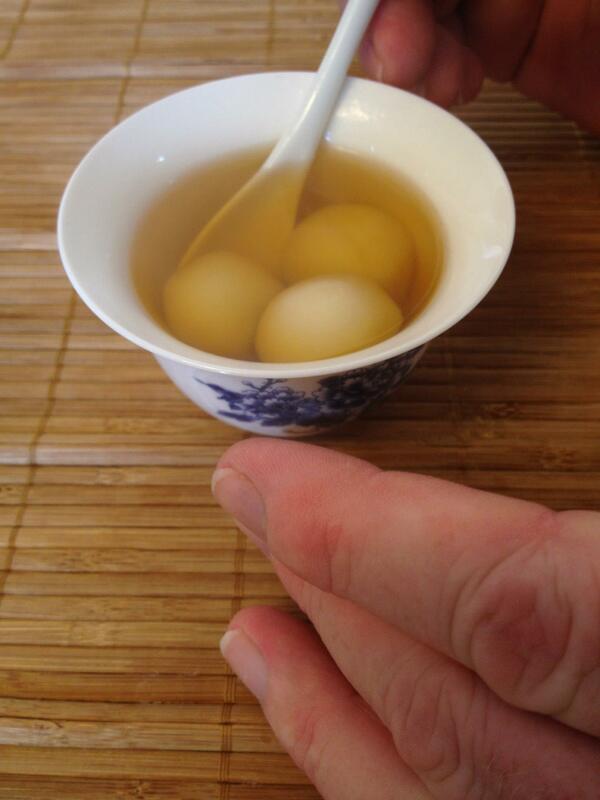 We kneaded glutinous rice flour and hot water together until smooth, and then formed the dough into small round balls. After pressing small pieces of chocolate into each one, we dropped them into boiling water, and waited for them to rise to the top. Finally, Joyce served the tender dumplings in colorful ceramic bowls, floating in the sweet ginger tea. It was all delicious, although I must confess that I have yet to seek out a 1,000-year egg to try to replicate the golden shrimp! Leading up to the class, Joyce communicated through email and gave specific directions – meet up at the MRT Shau Kei Wan station, in front of a mosaic painting. Hong Kong’s subway system is massive, and I was slightly skeptical at first. But I ended up finding the spot right away, and immediately spotted two Australian tourists who were also taking the class. Joyce met us there. 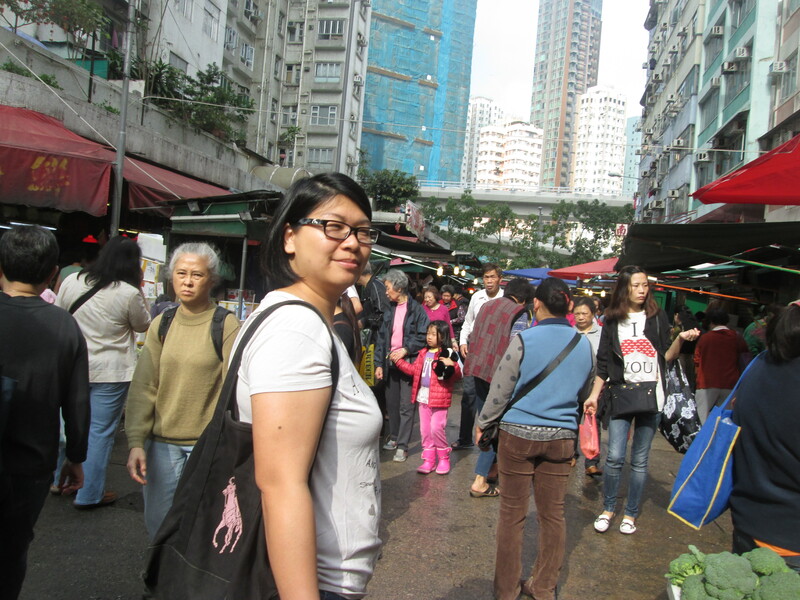 I was traveling alone in Hong Kong, and the class served as a great way to meet new people and get out of the usual tourist areas. I would definitely try it again!